Fine Art Asia returns to Hong Kong this autumn to celebrate the 12th edition of the fair. 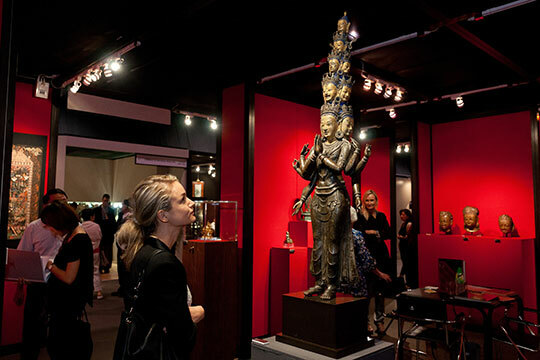 The fair has since become Asia's most important date on the art and antiques fair calendar, boasting success at the fair for both Asian and international galleries. Fine Art Asia is the only fair in Asia to showcase a wide range of collectible fine art from both Asia and the West, spanning 5 000 years of cultural history from antiquity to the present day. Old Masters, Impressionist and modern art; fine jewellery, silver and timepieces; Chinese ink paintings; contemporary art; design and decorative art all come together from 2nd-5th October, 2016. In 2015, Fine Art Asia displayed more than 6 500 works of art worth £272 805 000 (HK$2.8 billion) and attracted 25 800 international visitors. Exhibitors came predominantly from Hong Kong and Europe, including the United Kingdom, France, Belgium, Italy, The Netherlands and Switzerland as well as China, Japan, Singapore, Taiwan, Thailand and the USA. Among world-renowned specialists in Asian works returning to Fine Art Asia 2016 are Rossi & Rossi, of London and Hong Kong, with rare Buddhist and Hindu paintings, sculptures and ritual objects from China, India and the Himalayas. Vanderven Oriental Art of The Netherlands will present Chinese porcelain and works of art; Robert Hall, London focusing on Chinese snuff bottles; Priestley & Ferraro Chinese Art, London with early Chinese art, and a particular focus on Song dynasty ceramics. Barrère, the Hong Kong sister gallery of the famous Galerie Jacques Barrère, Paris, as well as other HK galleries including Wui Po Kok, Hong Kong and Andy Hei will all be present. The fair will take place from 2nd-5th October, 2016, with a VIP preview held on 1st. For more information, see here.